I can’t say I’ve ever worked so much on a holiday, but lucky for me, there’s a nice skiing vacation on my calendar! Here’s the help post for the UI I did for Patreon this December. This is just to help you get started with the new interface art, but feel free to mix it up to your own liking! If you don’t have a ‘MistyTeahouse’ or a ‘Night UI’ folder, create them and place the files there. 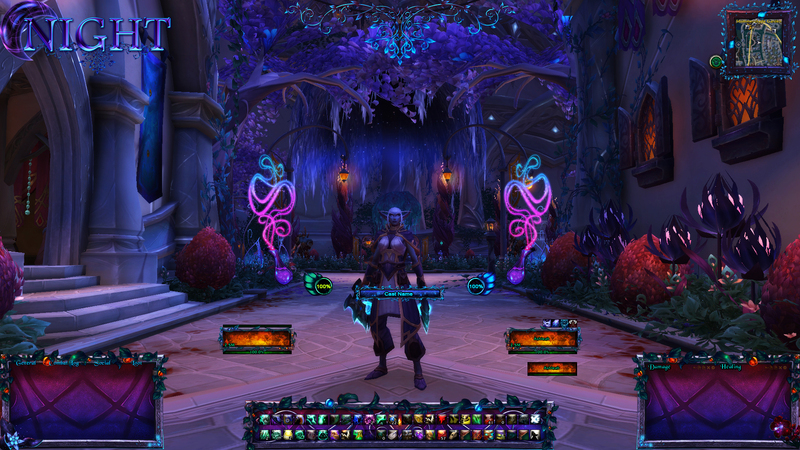 2.Go in-game and import the auras by opening up the WeakAura menu with the command /wa, go to New and click in Import. Paste the export string there and then click okay (you will see a pop-up window, click on import). If you only see green squares instead of the textures it means that the addon cannot locate the art files! You need to check that the files are correctly placed and that you didn’t misspell any folder names! 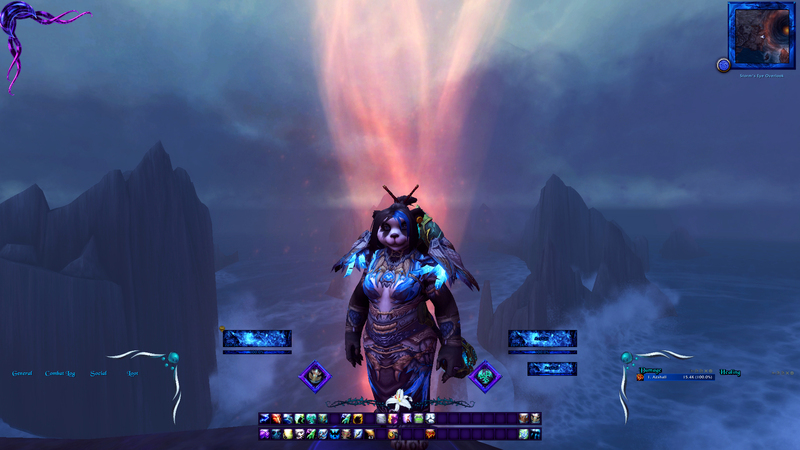 3.Select the aura group and go to the Load tab to specify which class or player the auras should show for (unless you want all auras on all characters). Then resize, relocate or customize it how you want! Done! Description: A background for action bars. Description: A background for chat and other panels. Description: A background/divider for buffs and debuffs. Description: A proc that also shows the duration of the buff. The trigger hasn’t been set to any spell, so just type in the buff you want in to track in the trigger tab. Description: A border for the minimap. Description: Shows health in both percentages and a visual progress bar (circle). Trigger: Health – in combat. Description: Shows power in both percentages and a visual progress bar (circle). If you need it to show a specific type of power, adjust the trigger. The text shows power in total (not in percent). If you want a percent tracker, choose from one the auras from the aura group below. Trigger: Power – in combat. Description: Text auras that show a custom display of power in percent. There’s health, mana and stagger. Description: The borders from the Night UI Border Package can be a complement for the big UI or you can make your very own “lite version” if you prefer a more minimalistic look! The other two packages contain their own tutorials on implementation and should be enough on their own. I really hope you like them and remember that some textures look best with their original color (set color tint to white or #FFFFFF) and some looks better with a little color tint added to them. Experiment away! That’s it for 2016’s work! Now it’s 2017 and I’m going to start the year with some skiing. Looking forward to creating more UI’s this year, and I’m thinking about working on some class UIs (there are ideas in the works, my friends). Anyone else having issues with downloading the file from dropbox? Can someone tell me please how i come to this fantastic ui? 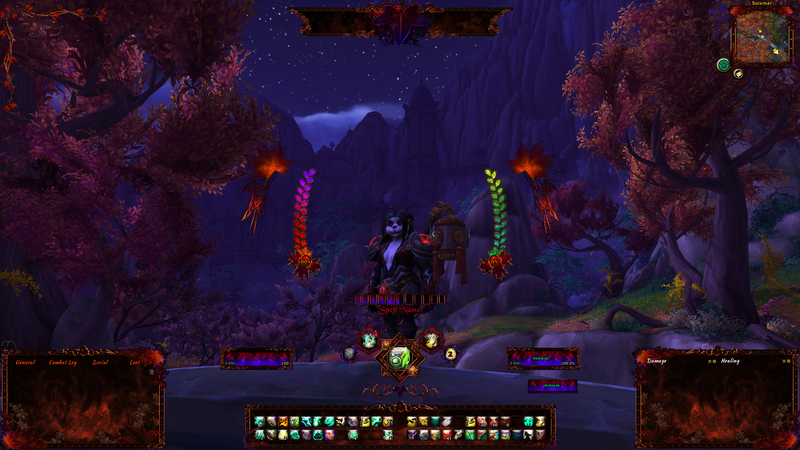 I am from China, a WOW player, I really like the interface you do, but I do not know how can I have it? Next Next post: Back from Vacation!